Four years ago during the season of 09 (2009-2010 for those who may get confused) the Phoenix Suns peaked as a team. The Suns at that time featured a lot of veterans and a few young players. The roster consisted of Steve Nash, Amare’ Stoudamire, Grant Hill, Jason Richardson, Channing Frye, Robin Lopez, Barbosa, Collins, Clark, Amundson, Dudley and soon to be Nash protégé Goran Dragic. Alvin Gentry was the head coach and happened to be at the tail end of his contract. The team was in “Win Now” mode and would’ve been devastated if one of their star players left. 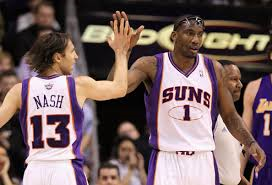 Led by Stoudamire and Nash, the Suns made it to the Western Conference Finals that year. 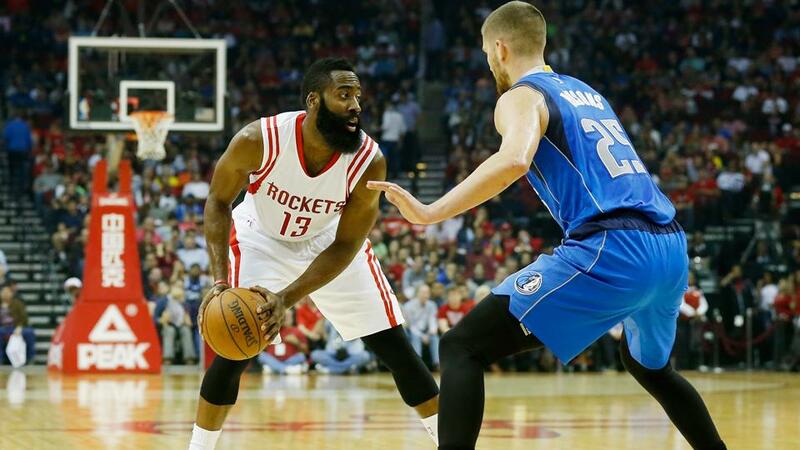 They lost to the eventual champions, the Los Angeles Lakers in six hard fought games. After the season rumors surfaced about Nash retiring and Amare’ jumping ship. Nash didn’t retire like people thought he would. 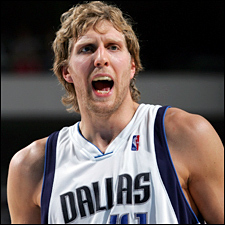 Instead he decided to keep playing and stayed loyal to the fans and organization. Stoudamire didn’t. Thinking about himself and what’s best for his career, Amare’ left the Suns and went East to the New York Knicks. Leaving the Phoenix Suns gutted. Without Amare’ the Suns weren’t even Playoff material, let alone contenders. Their status as an upper echelon team diminished and they dropped to mediocrity. The following years came and went. Various pieces left as well. Dragic departed (only to return once Nash left). After two and Grant Hill left. After two years of holding Nash hostage the Suns went on traded him to the Lakers while acquiring many picks in the process. The rebuilding phase had officially begun. 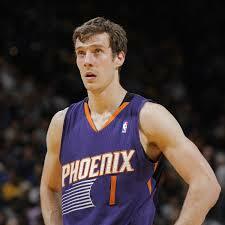 Following the departure of Nash, Phoenix brought back Goran Dragic, who had spent a few years in Houston playing for the Rockets. They also brought in Luis Scola and made a trade to bring in Marcus Morris after already having his twin (Markieff Morris) on the roster. Along with the likes of Gortat and Michael Beasley the Suns went on to finish with a record of 25-57, while placing last in the Western Conference during the 12-13 season. After hitting rock bottom the Suns changed damn near everything. Head coach Alvin Gentry was replaced by first year head coach, Jeff Hornacek. In the draft the Suns selected Alex Len and few overseas prospects. Phoenix also did a number of trades. They brought in guards Eric Bledsoe, Archie Goodwin, Ish Smith; forward Gerald Green and big men Emeka Okafor and Miles Plumlee. Beasley, Scola and Gortat were all moved. During the season they also added veterans Leandro Barbosa and Shavlik Randolph to improve their depth. Going into the season no one expected Phoenix to end where they were. They faced a lot questions in regards to the players and coaches on their underrated squad. Goran Dragic was thought to be mediocre, Bledsoe was a huge unknown because he never started and no one knew if Hornacek was going to be a good coach. Phoenix finished the season 48-34 which was good enough for ninth in the loaded Western Conference. 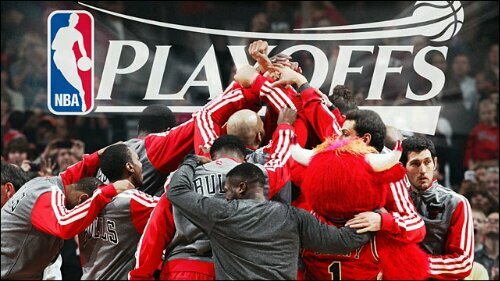 And was one game away from being a Playoff team. A lot of those question marks from the beginning of the season turned into exclamation points with good purpose. If Phoenix could get their hands on a decent big (Hello Greg Monroe ) they’d really be a force out West. With the addition of PG Isiah Thomas and draft picks T.J. Warren and Tyler Ennis Phoenix has perhaps the best group of guards and best group of trade assets to lure a big fish. With a huge turnaround in year two of the rebuilding phase the Suns have positioned themselves to be a nice young group in years to come. 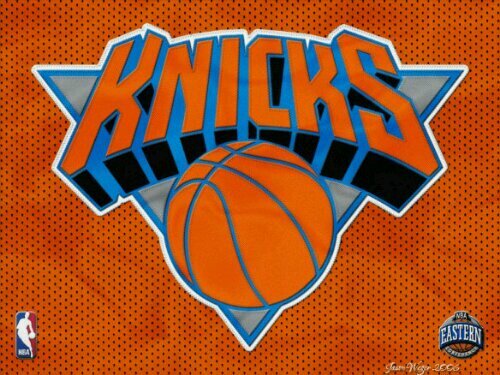 Over the past decade or so the New York Knicks had a plan that was suppose to get them back to the promise land. But the thing is they failed! They spent half the decade chasing a guy who paid them no attention, LeBron James. They shed contract after contract in hopes of freeing up enough money to sign LeBron and another star to play alongside him. They never thought about building around anyone else besides LeBron and that’s why their plan failed. Do you think they wanted Amare’, I can’t stay healthy for five games, Stoudamire as their centerpiece? Because they didn’t. They wanted LeBron, Wade or Joe Johnson, Amare’ was down the list. Once Miami captured LeBron, Wade and Bosh, Atlanta signed Joe Johnson and Chicago signed Boozer the Knicks decided to sign Stoudamire. Right after they signed Amare’, Chris Paul and Carmelo Anthony gave the Knick’s fan base something to talk about by saying they were going to join Amare’ once their contacts were up in attempt to rival the big three that assembled in Miami. Once the season started it looked like signing Amare’ was smart. He was grabbing rebounds, blocking shots, getting buckets and leading the team. 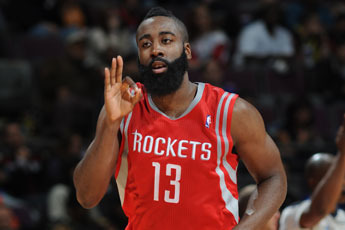 He continued to do that until Carmelo Anthony joined midseason via trade. On paper the trade seemed legit, but if you know basketball, which some of yall don’t, you would’ve known that they played the same game and wouldn’t be able to flourish together. At the start when they weren’t playing well with each other people wanted to compare them to Miami and make excuses instead of looking at the obvious. The obvious being their games weren’t compatible. 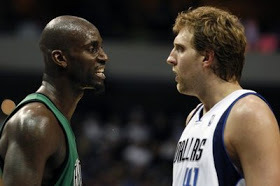 Eventually they got swept by the Celtics in the 1st round of the Playoffs and went into the offseason thinking about ways to make this duo work. During that offseason (2011) they signed TYSON CHANDLER to lucrative deal. That move was comical. It didn’t make any sense and it made the puzzle even more dysfunctional. The Knicks excuse for signing him was the fact that Chris Paul expressed a desire to play with Chandler and the Knicks planned on trading Amare for Paul, which wasn’t going to happen since New Orleans was owned by the league. So instead of getting LeBron they got Amare’ and Melo; and then the next year bring in Tyson Chandler instead of Chris Paul. In other words they failed two years in a row when it came to getting a superstar. Tragic. During that season they were awful, until Jeremy Lin showed up and uprighted the ship. 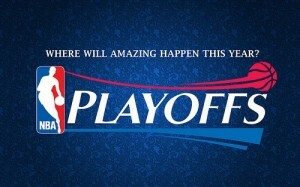 The end result of the season was a first round exit to the Miami Heat, because of injuries to Amare’ and J.Lin. During that offseason they brought in some “veterans” that still had something left in the tank. (Kidd, Pridgioni, Kurt Thomas, Rasheed Wallace, K-Mart, Q.Richardson, Marcus Camby and James White.) They also kept J.R. Smith and signed Raymond Felton, while Amare’ worked with Olajuwon and Chandler and Melo played in the Olympics. This season was suppose to be a Championship season, but turned out to be the 00’s retirement club. During the Playoffs Melo and co. started off strong until J.R. Smith turned into a child and prolonged the series against Boston. After the first three games of the Playoffs the Knicks’ flaws blossomed. They lacked consistency and chemistry. No one played their role and most of them seemed content on the fact that they were getting exposed. Their four best players, ( well the four players who are suppose to be their best,) were all ineffective against the Pacers and they all showed why they are nothing more than 2nd tier, 3rd tier players. Chandler’s “superb” defense was no where to be found; Melo’s clutch gene evaporated; Amare’ was the 20th best player in this series; and J.R. Smith was off chasing a popstar who didn’t want him, embarrassing. At the end of he day this wasn’t a coherent group that meshed well. There is no superstar, just a bunch of guys who want that title. There aren’t any leaders either and everyone is too inconsistent.